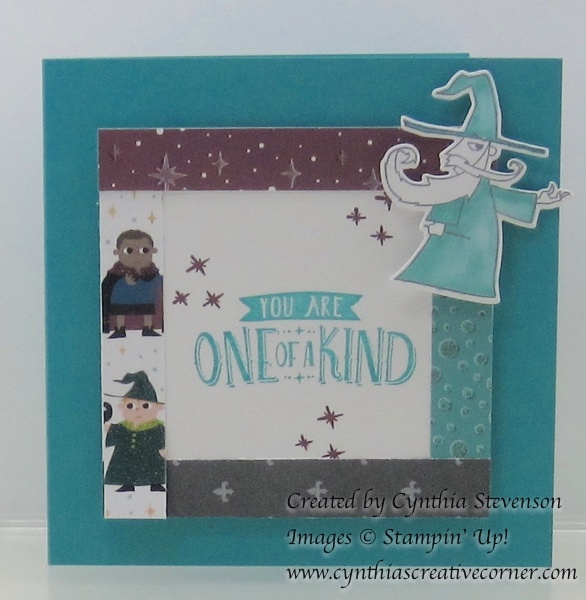 MAGICAL DAY BUNDLE FROM STAMPIN’ UP! Are you into magic and wonderful things like that? If you are, you will probably get great delight from the Magical Day Bundle that’s in the 2018 Occasions catalogue! This stamp set has matching Framelits dies that make it easy to cute out the cute and magical images in the stamp set. The matching Myths & Magic Specialty Designer paper just adds the perfect finishing touch to any project that you make. This card is a 4-1/4″ square and I used 4 1/2″ strips of the designs to frame that great sentiment. The closing date to reserve your Stamparatus (an excellent new tool) before Saturday, December 20, 2017 to you can get it in the March 2018 mailing! Click on the red title to go to the reservation page. The Year End sale is closing on Tuesday, January 2, 2018 so make sure that you have everything that you need before it’s gone for good.